Karnataka PGCET Application Form 2017: Karnataka Post Graduate Common Entrance Test (Karnataka PGCET) is conducted by the Karnataka Examination Authority. This examination is conducted for postgraduate applicants admission for various M.Tech programs. It is compulsory for all applicants to fill Karnataka PGCET Application Form 2017 on or before the last date of submission. The applicants who qualifying the GATE examination even they also have to give the Karnataka Post Graduate Common Entrance Test for admission. All the necessary details about the Karnataka PGCET Online Application Process 2017, can be checked by following the complete details given below. Students have to fill the application form and while applying for application form applicants can refer the following the Karnataka PGCET Exam Dates 2017. Applicants have to fill the application form on before the last date of form filling. All eligible and interested applicants have to fill the application form to get admission. Following are the process to fill Karnataka PGCET Application Form 2017 is as follow. Students have to open the official website, i.e. kea.kar.nic.in/. Fill all the information in registration form correctly. Then the authority will send you the User id and password. Upload all the asking documents in form. Pay the application form fees by using E-Challan. Click on submit button and take print out of application form personal uses. Registration is compulsory for all the applicants who applying for the application form. The registration form will be available on official website. 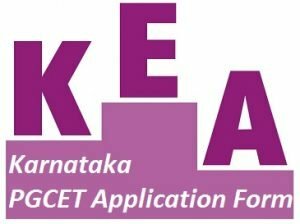 Applicants have to fill all the correct information in Karnataka PGCET application Form 2017. Only register applicants are allowed to fill the application form. Even they also have to submit the application form till the last date of submission. Every year the large numbers of applicants are applying for application form every year. This examination is conducted for admission of postgraduate applicants on State level. And examination is conducted by the Karnataka Examination Authority (KEA).